Nora is that girl: the one who works overtime, helps out her family, and leaves little for herself. With her one free hour a day, she takes out life's hardships at the local mixed martial arts gym, where she can lose herself, if just for that hour. But what happens when that confidence in solving problems with violence spills outside of the gym? I wanted to make a film that explored roles of violence in the lives of the women that enrolled themselves in martial arts classes. 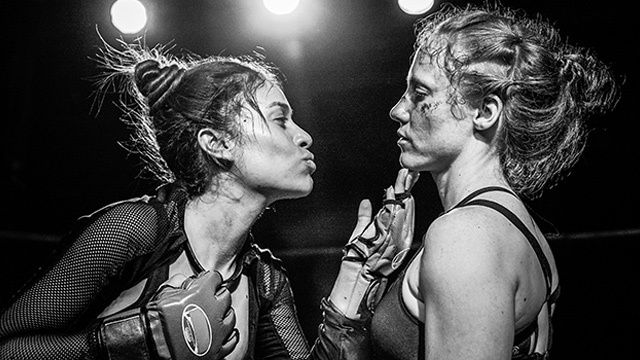 Growing up in this world, many of them were in there for reasons beyond a good workout, and I have never seen MMA fighters let alone female athletes, where sports become part of their identity in a film. Themes: Identity, LGBTQ, Family, Martial Arts, Sports.